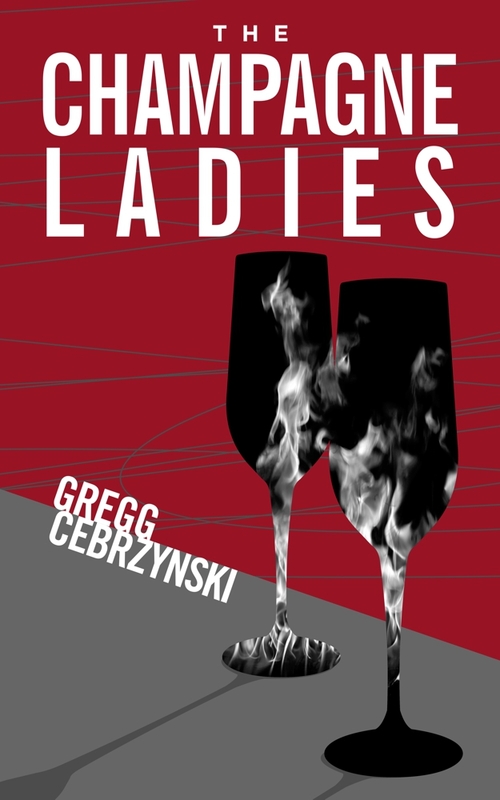 Got a Moment to Hear Me Read ‘The Champagne Ladies’? Not the whole thing, just an excerpt where I describe Rita Pittsfield and Sandra Lockport growing up in a small farming community before moving to Chicago in 1968 and starting a series of events that lead to an unfortunate death. When I was interviewed on In Print Radio last year I also taped readings from The Champagne Ladies and The Coffin Haulers for later broadcast. This morning my reading of Ladies was broadcast. It comes at the top of the show, before the interview with the featured author. If you’ve got a few minutes to kill before going off to a dinner date or while waiting to throw your clothes into the dryer, you might want to give it a listen. Ward Just is the only contemporary author whose books I eagerly await with unbridled joy. His latest, published on April 1, is American Romantic, coming three years after the superb Rodin’s Debutante. 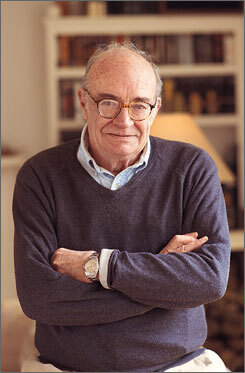 During each of those intervening years I kept checking the news sites and blogs to see if he was at work on a new book. Seeing nothing, I thought some illness had befallen him — he’s 78 — and that he had stopped writing. Thank God he hasn’t. What draws me to his novels is that they are character-driven. Plot is secondary. I’ve posted before that I enjoy characters more than plot, which is my own novels, The Champagne Ladies and The Coffin Haulers are character-driven. How’s that for drawing a reader into a novel? He’s also written compelling short-stories, my favorite being The North Shore, 1958, followed closely by Honor, Power, Riches, Fame and the Love of Women. When I start reading his latest novel I’ll have a problem with it, the same problem I’ve had with all the others: I’ll read it so quickly, absorbed by the characters, that I’ll have have to force myself to slow down and extend my enjoyment. 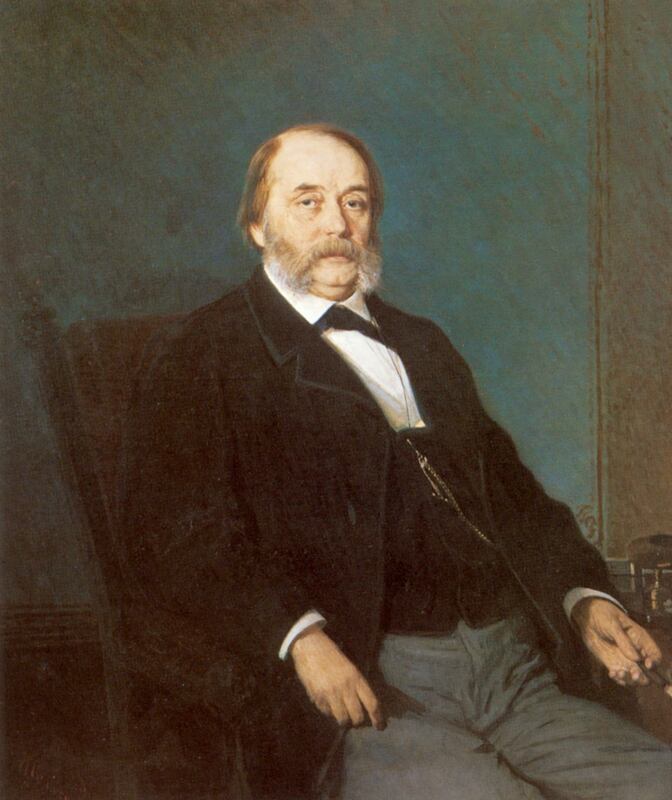 I tried, I really did, but I couldn’t finish Oblomov by Ivan Goncharov. I gave it one star on Goodreads, the only reader (I assume) to rate it so low because I didn’t read all the reviews, dozens and dozens of them judging by the number of pages devoted to reviews. Reading should be fun if you’re reader but not also a writer; fun and instructive if you’re a writer hoping to learn something about how a novel is constructed. I struggled with it as far as I got, but no book or short-story should ever be a struggle for a reader. Struggling is what we do the rest of the time when we’re not reading — or viewing TV or listening to music or watching a ballet. We need a break from reality, which a novel is supposed to give us. And so I put Oblomov back in my bookshelf. I hated doing that because I’d been waiting to read it for years. I first learned of its existence in high school, when the book was mentioned in a novel by James Michener titled The Fires of Spring. The first paperback edition I bought eventually fell apart, unread, on my bookshelf. I bought a new edition in 1995. It was one of the books I intentionally keep on reserve, anticipating the pleasure I’ll enjoy by finally reading it. Oh, the disappointment of unfulfilled desire! 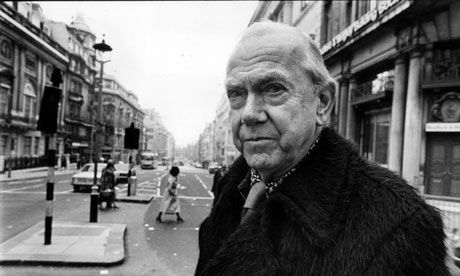 To assuage my pain I’ve begun re-reading Stamboul Train by Graham Greene, perhaps my favorite writer. I last read it 13 years ago. Greene never fails to delight, and I’m having fun reading it. As always, I’m learning about the craft of writing by someone who was truly amazing at it. That’s a line spoken by the character of W.P. Mayhew (played by the great John Mahoney) in the movie Barton Fink. Mayhew is obviously based on William Faulkner and the time he spent writing scripts in Hollywood. Anyway, I’m in a lull between freelance assignments and for the the past two days have returned to writing my third, still untitled, novel (see previous post). Writing a magazine piece or PR news release is stressful; I have to constantly be aware that I’m accurate in everything I write and that I adhere to a strict word limit. But writing fiction brings peace. Today it took me an hour to get two sentences right about a character I’ve named Lester Putrchek, and from there, when I knew exactly what I wanted him to do and say, I was off to the races. (Sorry for the cliche). Even as I struggled with those sentences I felt serene, but the act of creation is supposed to feel that way. I did my usual pacing, staring out the window, doubting myself and my talent, rubbing my forehead in exasperation — but I enjoyed it. I wasn’t under a deadline and didn’t feel compelled to write something that was less than perfect, though when I look it over tomorrow I’ll know it’s not perfect. Peacefulness may be fleeting, but that doesn’t matter. There’s always tomorrow, when I can find more. It was at once explanatory and mysterious: Were the keepers secret, or was there a secret a group of people were keeping? It took me six months to come up with the title, and when I did I was so dizzy with joy that I had to lie down. And then I did a Google search. There were at least four other books with that title. Immediately I abandoned my decision and am now thinking again what to call it. I don’t want give my book a title that already exists. That confuses the reading public and is known as “marketing clutter,” a term describing the similar choices consumers have to wade through when they make a purchase decision. And like it or not, fellow scriveners, choosing a book title is as much marketing as it is creative writing. Ever hear of a novel called Trimalchio in West Egg? Of course not. It was published as The Great Gatsby. F. Scott Fitzerald’s publisher, Mawell Perkins, had to talk him out of it because the title would be hard to pronounce. That’s not good for sales. How well would a book called The Lost Generation have sold? Hard to tell, but when Ernest Hemingway changed it to The Sun Also Rises it seemed to do OK. I read any number of blogs about book marketing, and the percentage of time an idie author should spend writing vs. the time spent marketing varies from one blogger to the next. Is it 70 percent writing and 30 percent marketing, or a 50-50 proposition. There doesn’t seem to be a real answer. I’m convinced, having written two novels, that I should spend 100 percent of my time writing a novel and 5,000 percent of my time marketing the damned book. The title is just as important a marketing tool as the content of the novel. If the content, which is essentially a product, is something consumers want, a title is the brand name of the product consumers see first, and which will entice them to want the product in the first place. A bad one scares them away to competitors in your genre. Those are the hard facts of being a creative person, not only as a writer but also as a musician, artist, film maker, etc. Sitting in front of a keyboard and writing Petrarchan sonnets that only your loved ones will read is one thing. For a professional writer, commerce is another. 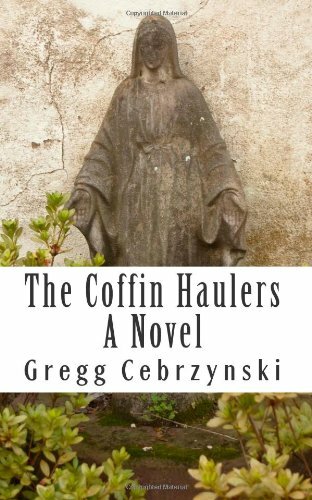 I just published The Coffin Haulers in paperback for readers who prefer a print version to an e-book. Different cover from the Kindle edition, but I like it. I’m working on my third novel, but it’s giving me some problems. I’m not really fond of the character I named Sophie, so I have to change her. There’s a character named Lester Putchek that I’m struggling with in terms of what I want him to be. The main problem is that, 8,000 words into the book, it seems to be plot-driven instead of character-driven, and I always want a characer-driven story. Just something I have to work out. Also, I haven’t been able to devote as much time to the novel as I hoped. I’ve been involved in numerous freelance writing assignments (a boy’s gotta eat and pay rent) so my normal workday has been interrupted. I still hope to publish the new book, so far untitled, this year. I’ll update as I go along. 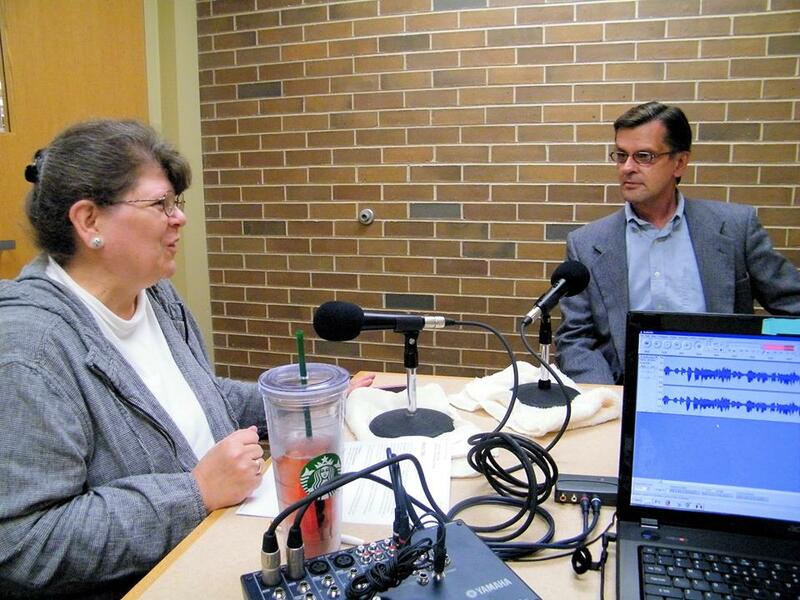 The interview I did with In Print Radio in October went live this morning. You can listen to the podcast here. I talk about growing up in the Little Village neighborhood of Chicago, the writing process I followed when I wrote The Champagne Ladies and The Coffin Haulers, and how being a newspaper and magazine reporter for nearly 40 years gave me the discipline I needed to become a novelist. It’s strange to hear myself talking. Of course when I did the interview I was concentrating on answering the questions, and not paying attention to how I sounded. Now that I’ve heard it, I confess that I come off sounding as if I know a thing or two about being a writer. If you’ve got some time to kill before heading off to your New Year’s Eve party, have a listen. Here's the guy who's responsible for all of this. Who is that mysterious woman? Now in paperback. Click on the image and get yours today! Take a sip. You know you want to.